My new revision is finally out with a different cover and new images!! I am very honored that the second edition of my book, Passage to Burma, has just been published and I chose a new cover for the revision. I also added new images and a new chapter and have a new, beautiful matt finish cover and I am so happy with the way it came out! After my last trip recently with a great group that I took, I wish I could have added even more new images as I found some great new place to capture. The text below is from my first edition when it came out over two years ago. 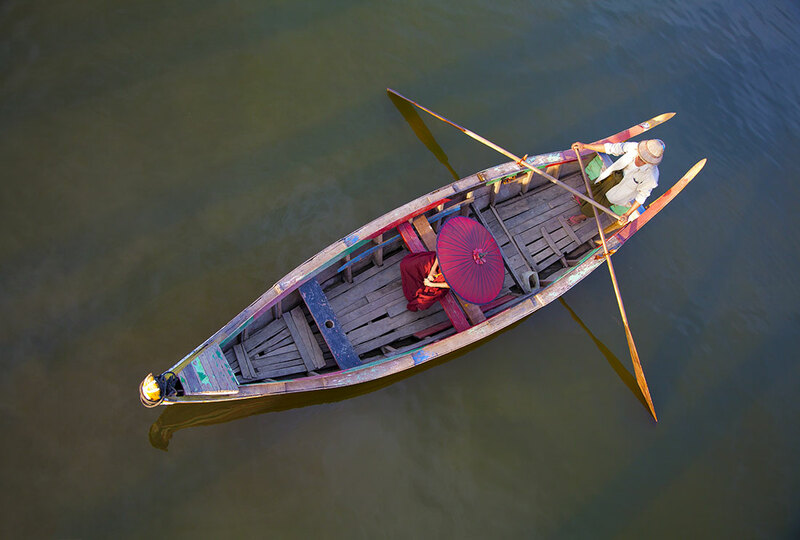 Was an amazing labor of love putting it together and I love shooting Burma more that anywhere else on this planet! I have been traveling the globe capturing images from amazing countries for as long as I can remember... but it is the beauty of Burma, also known as Myanmar, that stands out more than anywhere else to me. Southeast Asia has always been my home away from home but the jewel of this region at least for me is the eye candy of Burma, which has something for every kind of photographer. 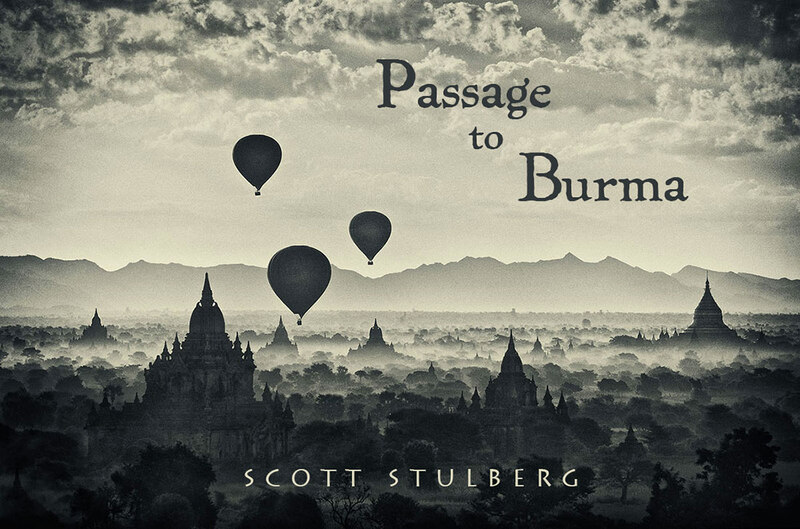 Since 2001, I have made numerous pilgrimages, including several photography workshops to this special place and I am so happy to have my new book, Passage to Burma, finally out as of October 23, 2013. This is really a photographers paradise but capturing this one of a kind country requires more than just a little luck to be in the right place at the right time. A guide is a must who knows the country well and a good guide will know where you should be to capture the once in a lifetime images that abound all over. Getting up well before sunrise and knowing where great photo ops will be is key for Burma but knowing how to interact with the people is also just as important, at least for me. Being a stock photographer, I need images of so many things from all over the world and the diversity of this magnificent country is just what the doctor ordered for almost anyone that loves photography. For so many years, travelers have stayed away from here because of the brutal military regime as this was not the safest place to be. 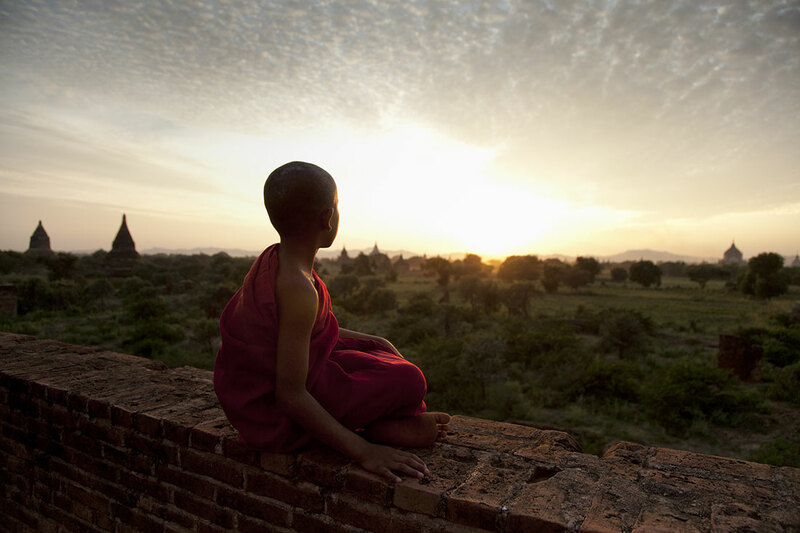 But now, National Geographic has listed Burma as one of the 20 top places to visit in 2013 and they have open arms to the rest of the world. You really need at least two weeks to see even a modest amount of Burma and for your gear arsenal, everything from wide angle to at least a 300mm is a must. Photo ops seem to turn up around every corner, from street scenes in the hustling city of Mandalay to fish markets at dawn in the capital of Yangon. Then of course there are the temples that abound and the incredible monasteries that really seem to take your breath away. In the village like city of Bagan, there are over 2,000 one of a kind temples in every direction and a feast for the eyes. Sunrise or sunset will get you images that you always dreamed of from atop a temple or even inside a massive hot air balloon, that glides along above the slow paced atmosphere below. But the faces of the people, especially the children are what draws me the most as the smiles seem to be non stop. The people just seem to be happy as they know nothing else but a simple life with just the bare essentials. 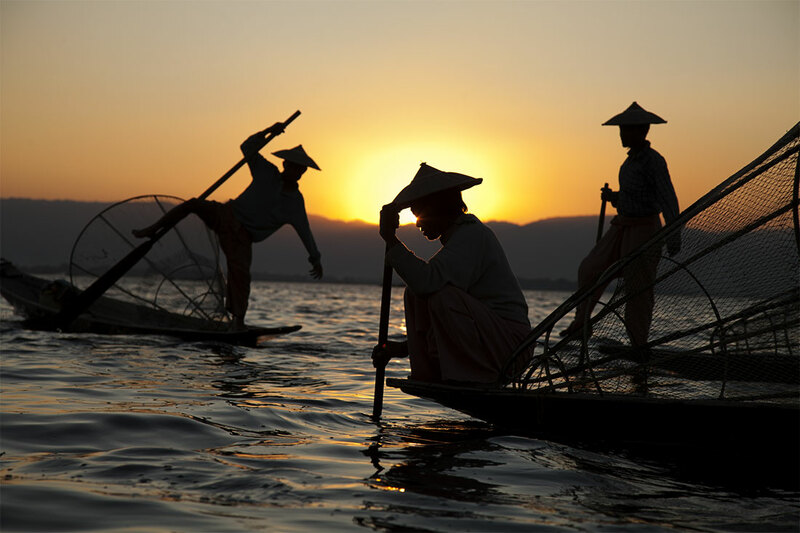 So much of life in Burma revolves around the water as the Irrawaddy River runs right the country and commerce and every day life means using this river for almost anything. Inle Lake with it’s unique fisherman who paddle the lake with one leg are incredible to photograph as I have no idea where they get the strength to paddle the lake day after day….. but they do. 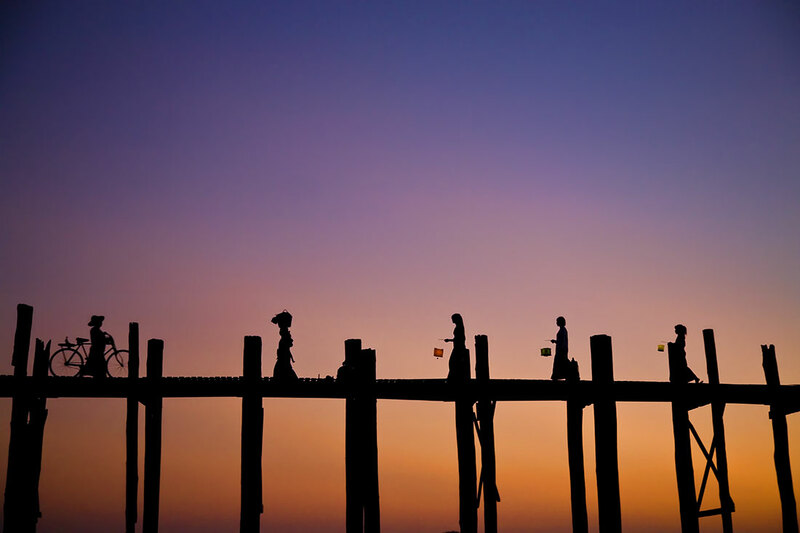 And life on the Ubein Bridge in Mandalay, the worlds longest teak wooden bridge is a non stop feast for the eyes as the foot traffic from one village to the other is like a symphony in motion. As the sun sets in the distance, photo opportunities are endless with the barrage of traffic that create one of a kind silhouettes. Photographing the faces of Burma is addicting and my favorite part of the women and children is the Thanaka face paint that they put on every day. 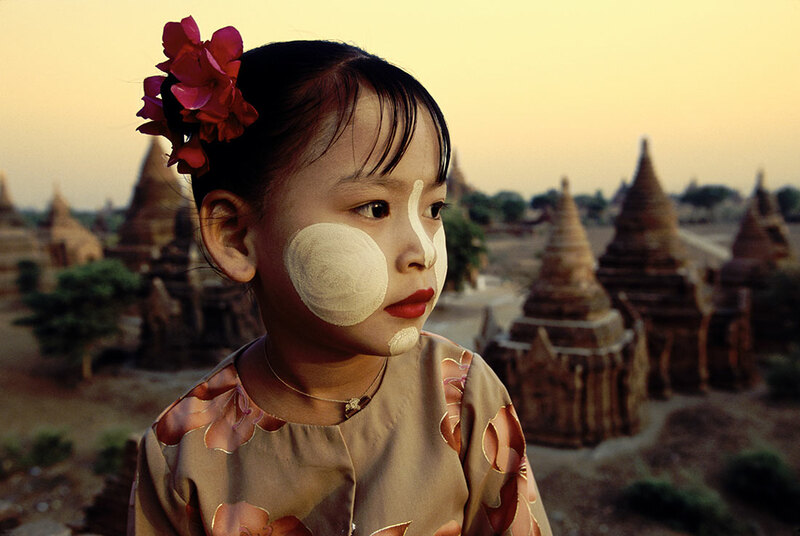 Part of their culture, Thanaka face paint, which is a combination of sun block and make up, looks different on every face and makes for powerful images in every corner of the country. On little San San, in the sunrise shot above, I wanted to get what I call close focus/wide angle images and using my 16-35mm, I shot her from above on one of my favorite temples at sunrise and shot very wide but also very close to her. This enabled me to put her in her surroundings using the wide angle but also gave me no distortion from shooting so wide. Not a typical portrait lens but thinking outside of the box is what will get you noticed and separate you from the next shooter. Often, I use my 50mm to get in tight to capture the faces of Burma and that is one of the things I talk about in my online class at PPSOP.com called Eye to Eye: Capturing the Face. Using a 50mm allows me to get in tight and really have a up close and personal feeling and I love the interaction it can give you, similar to the close focus wide angle feeling from my wide angle shooting. Shooting with just a telephoto for faces keeps you at a “safe” distance, which is more of a comfort zone for so many people but it can limit you, although there are shots with long lenses that can give you an image like nothing else. 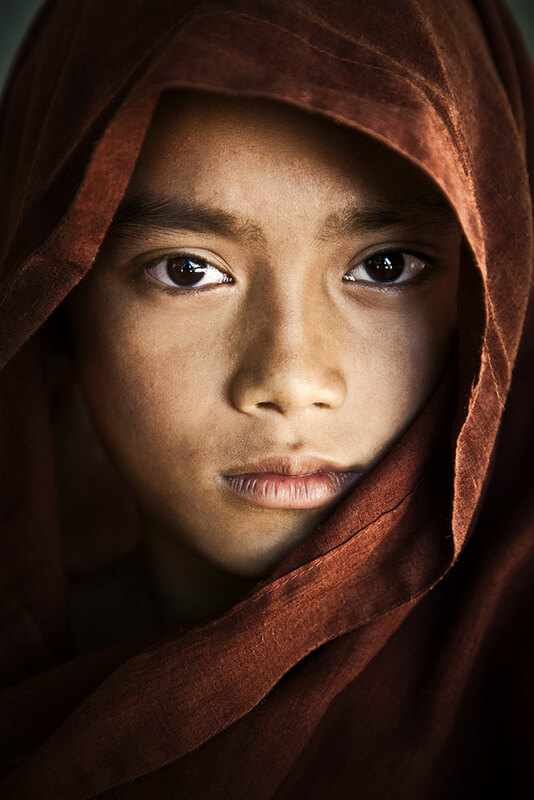 The following image of the monk was shot with my Canon 24-105 zoomed all the way to 105mm. This is a great zoom lens for so many types of shooting all over Burma but I also love my 70-200 f/2.8 for so many things as it has always been my favorite portrait lens by far. A tripod is one piece of gear that is really a must and is so often left at home on far away trips like this and this is one thing that goes with me to every corner of the planet. Using a tripod helps so much with not just composition and sharpness but so much more. This is why you see so many professionals using them as this is the one piece of gear that so many cannot live without. Tripods really make you concentrate much more on each shot and you start to lose the “point and shoot” approach and your images just start to look and feel better. For the images above and below of my little friends, a tripod was a must for me. It is the one piece of gear that I want everyone to use as much as possible on every workshop I do and every class I teach. It will help to to push your photography probably more than anything else and something that should be with you as much as possible. 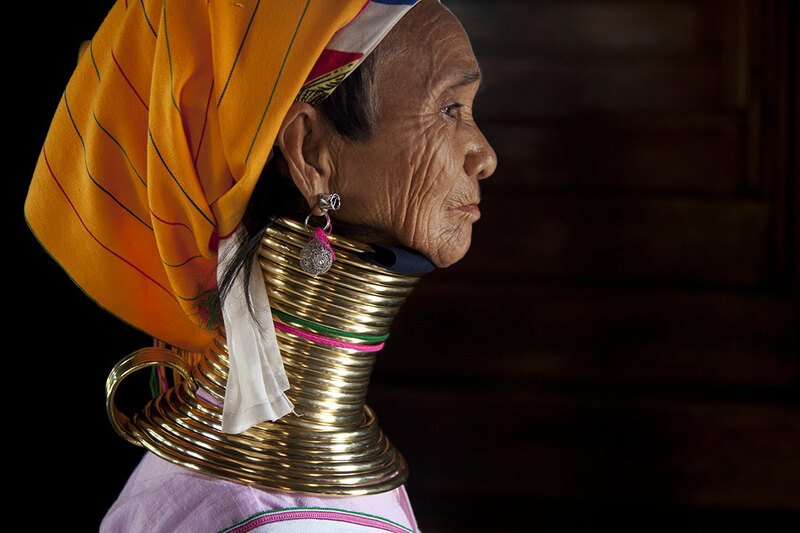 The diversity for amazing shots is what really sets Burma apart from everything else. Although I love shooting in Vietnam, and Thailand and of course Cambodia and so many other parts of Southeast Asia, the beauty of Burma is so far reaching and so incredibly alive and vivid. As a photographer, or even just a traveler, you don’t feel like an outsider in this place. They welcome you everywhere, with open arms and smiling faces. It really doesn’t get any better than this and now that the military rule has seemingly backed down and started to embrace democracy somewhat, life in this country might get back to where it belongs. And with Aung San Suu Kyi, the democratically elected leader finally out of years of house arrest, a new hope for this country is more alive than ever. But with these changes, increased tourism is also saturating the landscape much like what happened to Angkor Wat after the Khmer Rouge left years ago. But there is still beauty to found in every direction, around every corner. All you have to do is look. Beautiful Work! Reminds me so much of my trip to Bhutan, the monks, the ceremonies and the incredible landscape. 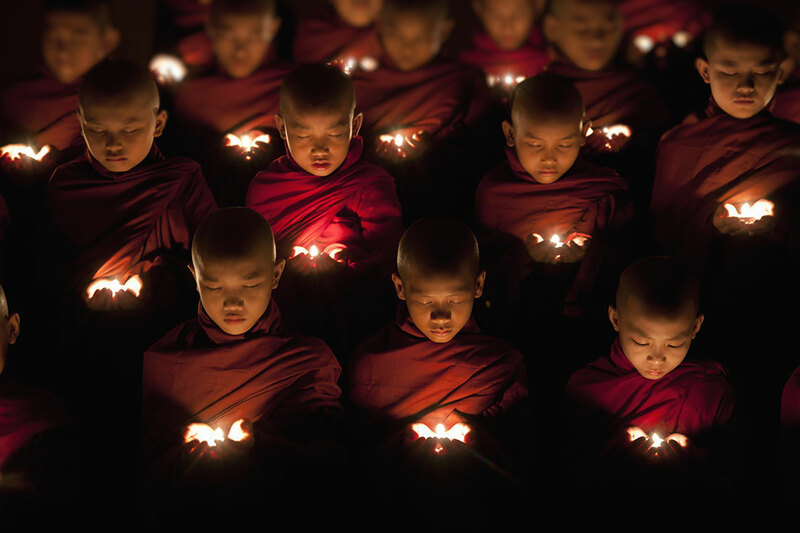 I hope to visit Burma some day soon. Thanx so much Mitch~! Yes, an amazing place and similar to Bhutan. But Bhutan won;t get overrun with tourists like Burma has now. But still…it is just so powerful and unique! Wow these are awesome! I’m now even more pumped to visit Myanmar next week! I have a few questions about Ubein Bridge in Mandalay. – Was that taken at sunset or sunrise? I was planning to go at Sunrise so there will be less people there. – What transportation did you used? Is hiring a motorcycle driver worth it? Scott, congratulations ! It is really amazing to see your first Burma book coming out as your creative view on Burma is totally unique and arguably the most impressive ! All the best and please continue to keep the world inspired !! Very nice photos Scott….. nice work. Awesome images Scott! Congratulation! Your images reminds me of my fabulous experience visiting Myanmar on a 2 weeks photo tour last February. As part of my processing tools, I also use Topaz plugins in my workflow. I am not sure my Myanmar images would have turned out as well as they did without it. so nice of you to write. Nowhere like BUrma nd glad you were able to enjoy it too. Two weeks I think is the minimum so great you were there for that time. And yes…Topaz makes incredible plugins and I use them all the time. Clarity is my new fav. Insane what it can do for so many photos! Congratulations for your new book. I will certainly order it. I have been fortunate to attend your Eye to Eye course in PPSOP and that changed the way I photograph people. Thank you for that. I wish you lot of success with the book and hope that you will continue to share your wisdom with fellow photographers in your own remarkably friendly way ! What lenses did you take to Myanmar? The images are fantastic. Hey Scottie, my wife and I are interested in the Burma workshop. Do you a schedule of your next workshop there? Looking forward to the Death Valley workshop. Just discovered your work through your recent book, which reminded us of our recent visit to northern Thailand, where we have had the chance to visit Burma for a day. Your pictures are definitely and insertion and I’m sure we’ll be back. Excellent work! Congrats!!! We haven’t seen the sun in a month in my hometown. The sky has been eaten by the most stubborn of all fog (which kind of puts our whole city into sensory hibernation). I found your book at work today . . . Scott, thank you. I am so inspired. I am awake. 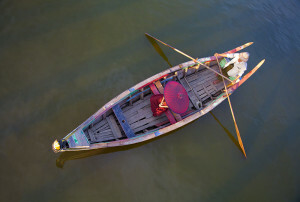 If you end up doing another workshop in Burma, I’d love to join. I am so bad at reading my blog comments. sorry about that….. and sorry about your lack of sun. seems to be like that in so many places lately. and that was a good way of saying it… sensory hibernation. I like that! so happy you found my book!! took me quite a long time to make it but it was incredible while it happened. glad I was able to inspire you little bit. and playing around with the idea of another workshop there. my guide writes to me all the time asking me to come back… because he and I just love each other! so.. let me know if you really want to go… and maybe you can motivate me to do another one… as I know I should. I have people ask me all the time and I will take them there.. I just need a little prodding! cheers, an email is best for me by the way! really appreciate that note…. didn’t see it until now because I’m so bad at checking my blog…. but is in Thailand amazing? very similar to Burma… but also very different. I love them both so much and would have to say that Southeast Asia without a doubt is my home away from home! when you go back… you will explore new things. just an amazing culture on this beautiful earth. hey there. never check my blog… I’m a bad boy. but funny seeing it now after you just signed up for my Death Valley workshop. I guess I might not have answered which lenses to bring in now you are back from Burma? while we can talk about all kinds of gear on our workshop in April. lots of gear talk!! one of my favorite things to talk about. Hope you had a blast in Burma!!! how much I love that…. no matter whether I am in the United States…. or far away in another country. faces are my favorite things to capture… and so happy that you enjoyed the course!! if I come to India again…. and head your way…. I will give you a heads up!!! okey-dokey??? It’s was awesome n special sunset image..great job.. I love your work!! I just sent you a message via the contact form to interview you for my travel magazine. Let me know if you got it and I’d love to have you onboard! I visited Burma for first time on May 1974 and 1977.After that years i have never retourned there. has more much value than the technical knowledge to realize one picture.A lot of compliments and sorry of my bad english language. Carlo Sacco. such a nice note to read and I love the way you talk…so no worries about the bad english. Nowhere else like Burma and so cool that you have been there to enjoy in first hand. Hello, my name is Ye Lin Aung. As a Burmese who love traveling around cities in Myanmar and taking photos about traditions in Myanmar, I am really touched, pleased and inspired by your work in Myanmar. I had been traveling inside Myanmar to capture traditional and unique pictures and have never seen such beautiful pictures like these. By looking at these pictures, I start to see that there are still so many beautiful pictures to be captured. I would like to thank you for taking such beautiful and unique photos of Myanmar and make Myanmar an interesting place to visit. Please allow me to show my gratitude from the bottom of my heart and say thank you to you. Thank you very much. 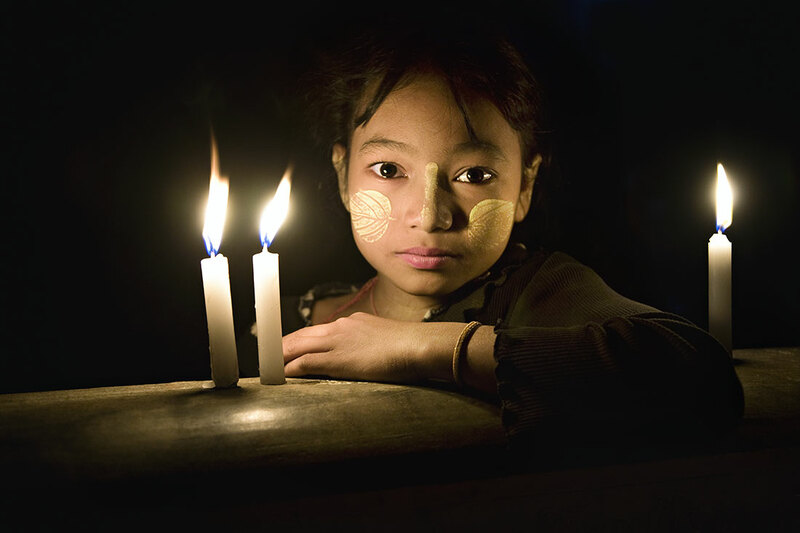 Moreover, I would really like to know what workshop you will be holding in Myanmar in 2015. 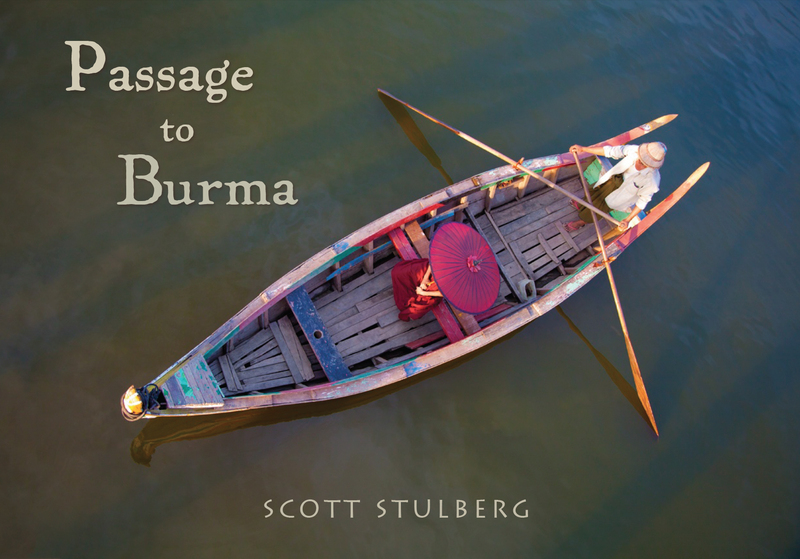 Thanks Scott for Yr kind reply.Burma is one of ”must” in Asia a special land which i could invite all photographers to visit, like a jump in the past and think what it was on 1974 when I was there…. Every time when I meet images on Burma I know very well the moments and magic lights, the faces, the nature and the poetry of that land.Yr images have the privilege that after selected before the printing they can represent the most important ideas of which a visitor can remember about the different aspects and themes of the burmese life. You made a great work, really, have my compliments!! Sorry..I did not see your note to me until now…Thank you for writing and thank you for the kind words. I love being in Burma so much and so happy you love to shoot there too. I will be doing two workshops there in 2015 btw..and there is a lot of info on them on my blog right here. Please keep in touch and maybe I will see you in Burma!!!!!! Hello SCOTT, On today’s date I received Yr book bought through internet in USA.I saw before some photographs of yours concerning the book and i have to make you for the third time my compliments also for the size and the quality of printing which is impossible to don’t observe when opening the book.I love so much the puicture made on the night during the moonrise on Ubein bridge with the lady with the lamp crossing the bridge. 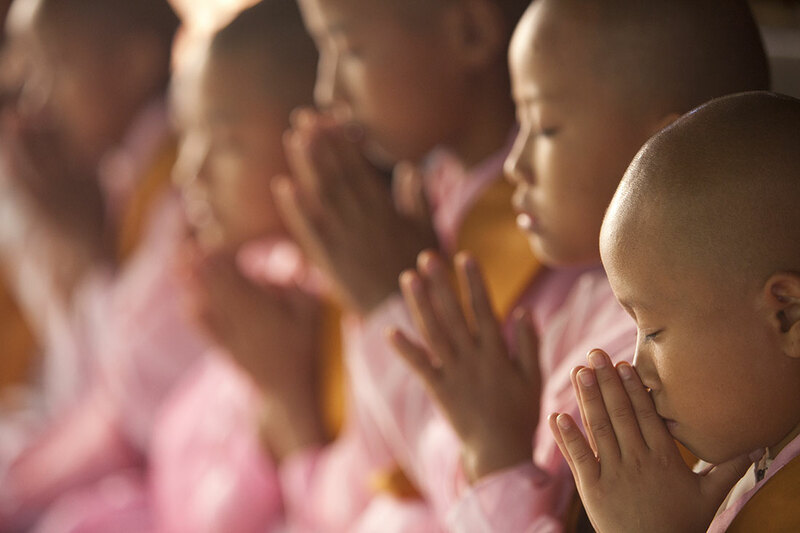 In this image is concentrated all the magic spirituality of the life in asia.which I love very much. May be next year i will return to Burma in order to take picture in Mrauk U, one of the places that i hoped for all my life to visit. At that time of 1974 and 1977 it was impossible to go there owing on the passport there was a visa released only for 7 days and with the stamp ”land route nor permitted”..Now times are changed and I think i will have the possibility to enjoy of those landscapes early on the fogging morning. Best wishes again and many many compliments.Only who travelled in Burma so much time can understand the pleasure and the strong effort to realize this unbelievable work which belongs to you forever.Thank You very very much.! Ciao. Carlo Sacco. so happy that you got the book and can enjoy and relive that amazing country!! Your kind words mean a lot to me and I do hope one day you can visit again and go to Mrauk. It is very beautiful there and so special!! 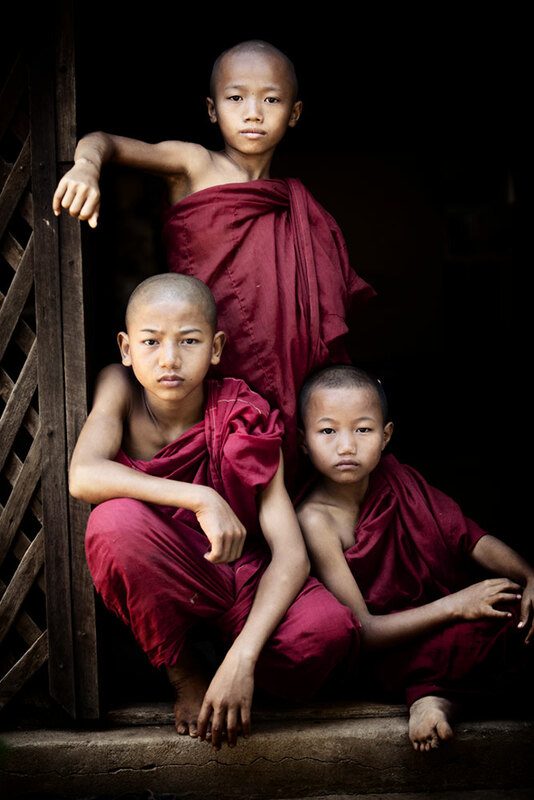 People that go to Burma are the lucky ones as it is really my favorite place on earth to travel to and to photograph!! Thank you again Carlo and say hi anytime. Best to use my regular email and not my bolt…as I do not check my blog enough. Your photography and website I came across randomly on the internet looking at Bay Bridge images. Your photography is incredible and really inspired me. Thank you! thank you for writing and love that I was able to inspire you a little bit. I love doing that… and love photographing so much. hope you get some great shots of bridges because they are absolutely amazing capture. you take it easy!!! and keep those eyes peeled..
Great to have connected with you at Larry and Wendy’s home. Amazing book! Have let my friend Barbara Slone know of your work. She does some amazing work raising funds for the education of children in Burma. you better keep in touch! Thank you for the awesome photos & the short but sharp intro. I’m sitting in Singapore Bishan Library & my 2hour in my life well spent 🙂 加油! Hi Scott! Marian here, from Argentina, Buenos Aires. I loved your photos! They are truly amazing, I warmly congratulate you. I’m a photographer too, and I also like to share your page to my colleagues. How can I do it? Do you have a FB? Stunning photography! What I love most about your images is, the beautifully tranquil feel you have captured. Burma is one of my favourite countries in the world. Thank you so much Nemi. Nothing like photography but when you are in places like Burma….. life becomes almost surreal! thanx again for the nice note! We just returned from Burma. We saw your book on board the Avalon Myanmar. We want to buy a copy! It is so beautiful and depicts the wonderfully, warm hearted people so very well. Watched a YouTube video of yours on Silver SilverEfex and thought I’d look at your website. I love Myanmar and have visited in 2011 and 2012 the second time spending a month there. I should point out to you that Yangon is NOT the capital. That is an obscure place called Naypidaw. Love the photos. My favourite country by far. thanx for pointing that out as I always thought Yangon was the capital. But a beautiful country for sure and I never tire of going there. 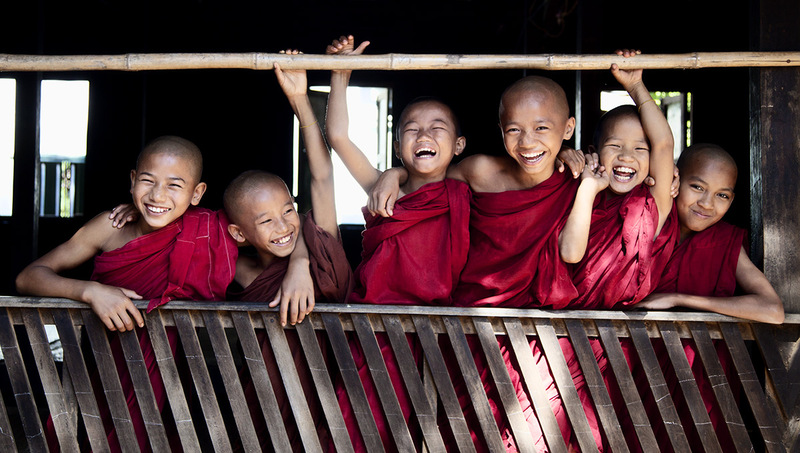 The people are the best thing about Burma. I just came back from Myanmar a couple of months ago and completely in love with the country. It’s a little similar to my country Vietnam but Vietnam is already tourist laden, sadly to say. Myanmar fortunately is still idyllic, especially Bagan where I left my heart. I have with me your book on Myanmar I bought a few years ago and absolutely in awe and admiration with your stunning photography. Thank you for covering the most beautiful land in Asia. I wonder if you ever think of going to Vietnam, the uper Northwest region of the country close to China border is as beautiful and primitive as heaven on earth. Yes Burma is still beautiful although getting more and more tourists all the time! But it is still my favorite place on earth! So happy you have my book. It took my over 12 years to make that book. Many trips and covering many destinations but loved part of it! and yes…I love Vietnam too. Just gorgeous and the photo ops are amazing. I first went in 2001…and it was just incredible….